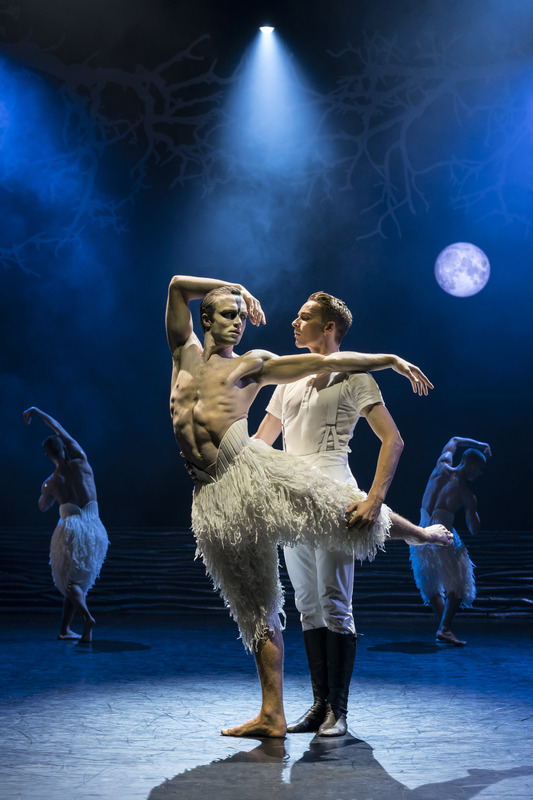 Matthew Bourne’s famous adaption of Swan Lake came to Nottingham Theatre Royal this week. 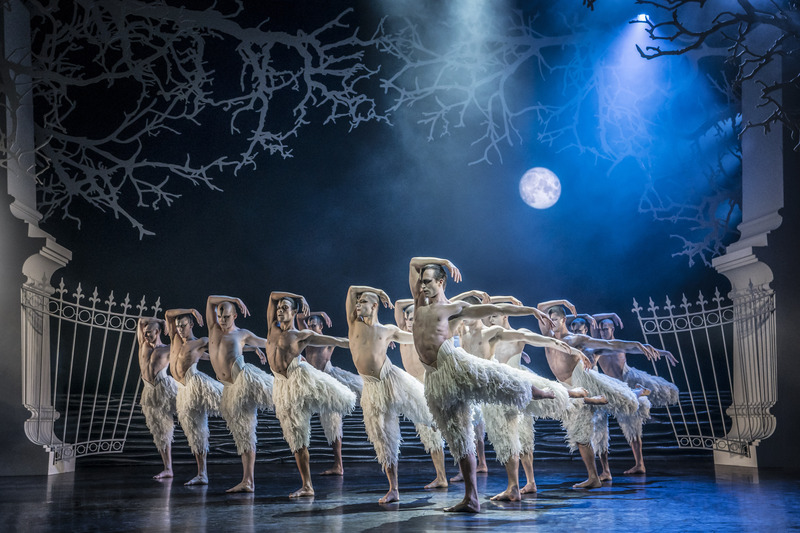 As expected it was exquisite, from the moment the swan on the curtain came to life to the very long standing ovation at the end. The choreography, the costumes, the lighting and the sets were all equally as stunning as each other. Although the stars of the show were officially “The Prince” and “The Swan”, depicted incredibly by Liam Mowler and Max Westwell, for me the best performance was given by Katrina Lyndon as “The Girlfriend”. Her comic acting during Act 1’s Scene 3 An Opera House, was hilarious. As with any Bourne production the stage was so busy, but in a good way, with the audience eye drawn to multiple performers all at once, never quite knowing where to look. However I couldn’t stop watching Lyndon, it was like gogglebox does the theatre, it was hilarious watching her watch a ballet, her phone rang, she had malteasers, she was disgusted at the dancers “bits”, for me it was the best part of the production. I felt that this Bourne production, apart from a couple of scenes, did not have the same level of comic attraction or extra detailing on the sidelines that I loved so dearly about Edward Scissorhands et al. 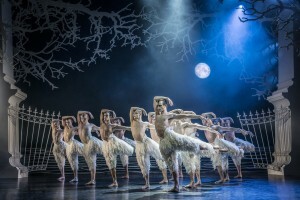 The focus was more on the ballet in a number of scenes, for me they did seem to drag slightly but perhaps I am just not cultured enough, although I did hear a fellow audience member mutter at one point, ‘we get it, you’re swans’. If you are not familiar with this version of Swan Lake, it has been dubbed by many as “the gay swan lake” and it is quite gay. Don’t go expecting beautiful elegant feminine swans, as you will see strong, sweaty, powerful ones! 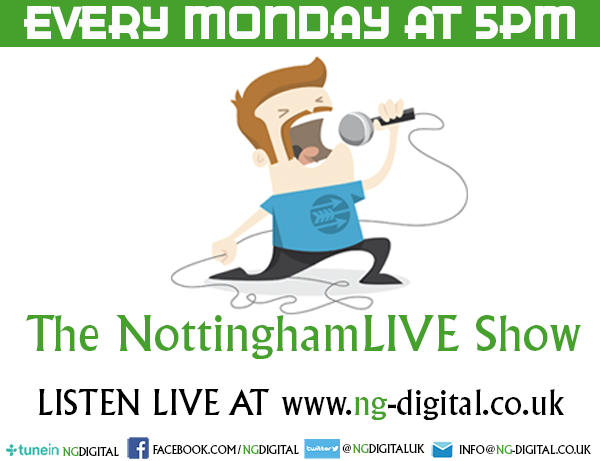 If you haven’t already got your tickets for its time at Nottingham this week then I’m afraid you are too late as it is sold out. However check out www.trch.co.uk for other upcoming shows.